This has been a month of overwhelming emotions, and soap opera love stories. I have learned the meaning of true excitement, and I have found the one with whom my soul lies. I have written by hand, typed this out, been questioned by co-workers and erased it all again trying to figure out how to share the best news that I have ever had... This, to me, is something that I have not always wished for, because I have not always had the most open heart, but now that it has happened to me... I am ecstatic. I will happily, be a Hemphill. The sweetest ring comes from hearing this. I feel like I could tell myself 100x over to wake up, and yet, I still feel like I am dreaming! 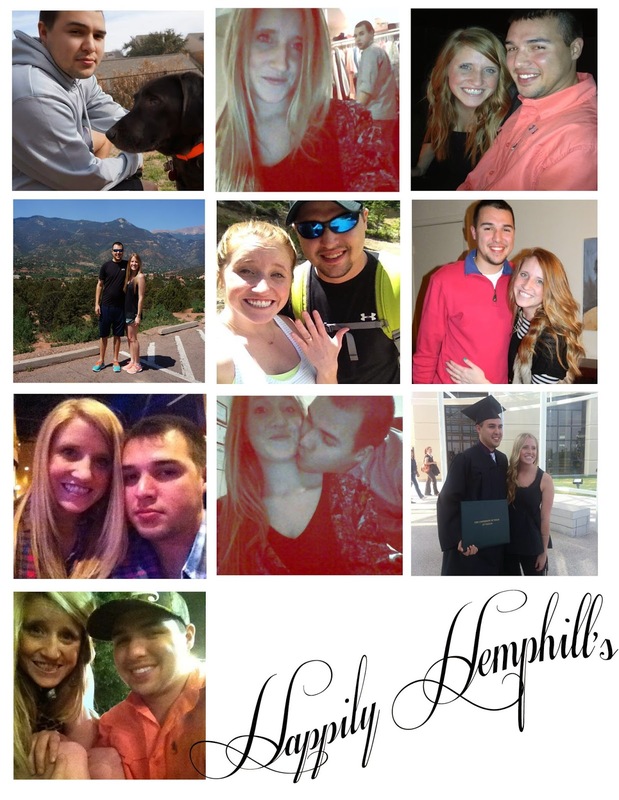 I will be a Hemphill, I can't quit saying it! I feel as if a two years have passed so quickly, and yet so many things have changed to make it slow down. I will never be able to express the gratitude I feel towards Adam for shaping me without trying or wanting to change me. For showing me how to change my oil, "because everyone should know how to change it Shelbi... no one should pay for something so easy they can do themselves", for pushing me to be the best version of myself... without focusing on my short comings, for welcoming my hectic* family with open arms and for helping me in every way possible to be able to do, live and dream the way that I Pinterest, Blog and collage about. And though I could sit here and tell you that this relationship is one sided, that he is the good one, he is the smart one, he is the one with the trustfund of Mary Kate and Ashley's future children, (though we all know, he is all of those things, minus the trustfund), I think that we would know I am joking. I have seen a change in him, from the needing a drink in his hand and constantly wanting to stay out with his brothers, to wanting to build a home and future, choosing a job that he loves over how big of tires he could buy if he had the extra change, and I can't say that was all because of me, he has a great support system! Editors note: I would however like to say that because of me, Adam enjoys a freshly made bed, that he makes. You're welcome, A! For once, I believe in what they say... I think I found the person that really makes the saying "They are just better together", a reality. Though I was not asked by a Hallmark engagement company, sang to in a lip-dub or broadcast in a crazy beautiful Youtube love story, I could have never imagined such a great moment! Feeling so alone with Adam, on the top of a mountain; with my whole family there as witness. It was the most spectacular moment yet, and I am sure many will come our way in these next few stitches of eternity that will make me rethink my sanity, remove the breath from my lungs and make the the happiest person in the world, but these are the things that I will remember. These moments, where we feel so blessed and humbled by the warm wishes of our friends and family, the moments where Adam's hands are shaking that he can hardly get the ring out of his workout pants, sitting on the couch after a night of grocery shopping, registering for a Tom Thumb card and trying to figure out whose name should go first for the registration, Adam pretending that he actually likes ABC Family television programs just so I will stay in the same room as him and the moments where we are just us... Me reading in the bath tub and him playing with the dog while watching the Home Run Derby... those are the moments, the ones that really make it happen for me. That is what I look forward too, and that is what I am thankful for. Thank you for caring and for showing us so much love and support, we are blessed to know some of the greatest people! But now the fun begins, we have started to plan, pursue and Pinterest our wedding and would love all the help we can get! Let me know if you have anything great that made your wedding and marriage beautiful! We would love to get to know you! *My family truly is the circus without the tent, I don't know how he jumps right in and goes out without a bang.